Time to write another philosophical post that will upset some people and will bore some others to death. Hell yeah. But don’t worry, we’ll also have fun stuff, so bear with me. Here’s my story: In the last few months, I’ve been working a lot more with Qlik Sense and, even though I’ve learned to love it, I still have some doubts about its adoption and the future of the Qlik platform in general. Some people favored one over the other, some argued that both should coexist and some others simply went nuts. But regardless of which side you choose, it’s amazing to see the number and variety of opinions in this regard. In a way, I find it interesting how we’re still asking ourselves if this town is big enough for two Qliks. 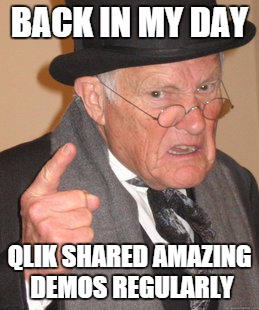 After all, Qlik Sense was released almost three years ago, which in technology standards is a lot of time! Don’t forget to check Aaron’s full post here. Lots of cool stuff! 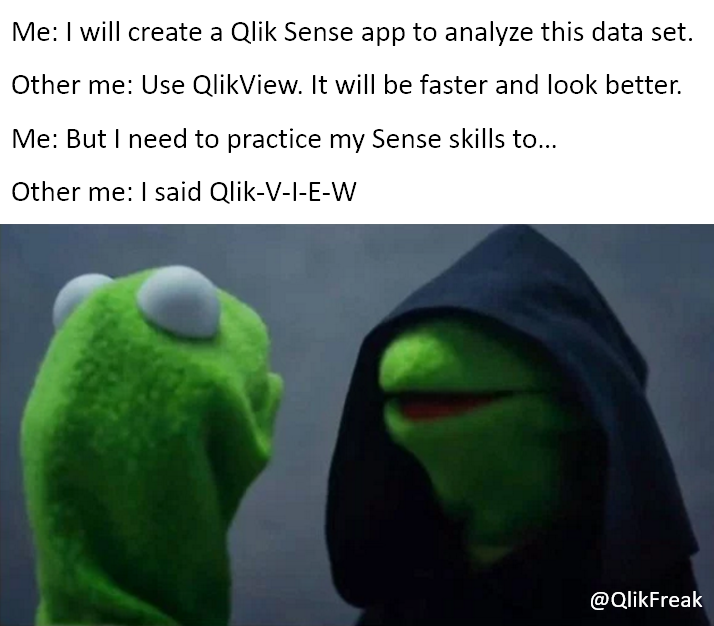 Like many of you, I’ve grown quite fond of Qlik Sense as well. It has many advantages like a flexible security schema, more competitive prices and amazing governability in terms of its users, data, apps, metrics and pretty much everything else. However, I don’t think I’m ready to get rid of QlikView just yet. In a way, writing this kind of posts is like talking about my problems with someone who really understands, and since I cannot afford a decent therapist, why don’t we put the constructive spirit aside and discuss the details we hate about the platform we love? 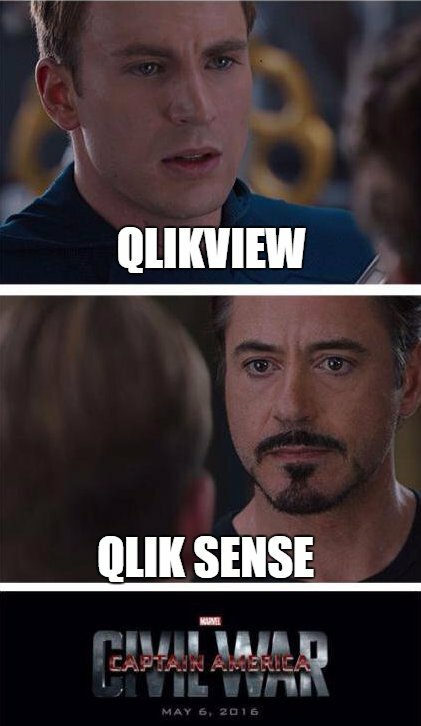 Here we go: More things I hate about QlikView! For God’s sake! Why. Are. You. There?!?! Aaaaarrrrghhhhh!!! Since the beginning of my career as a Business Intelligence Consultant, Qlik’s demo site has been a reliable source of awesome stuff. It is a great way to learn more about KPIs, get some inspiration and borrow useful tricks. Unfortunately, in the last few months, I haven’t seen a lot of activity there. I remember a time when they used to share demos almost weekly! Clean, balanced and insightful. 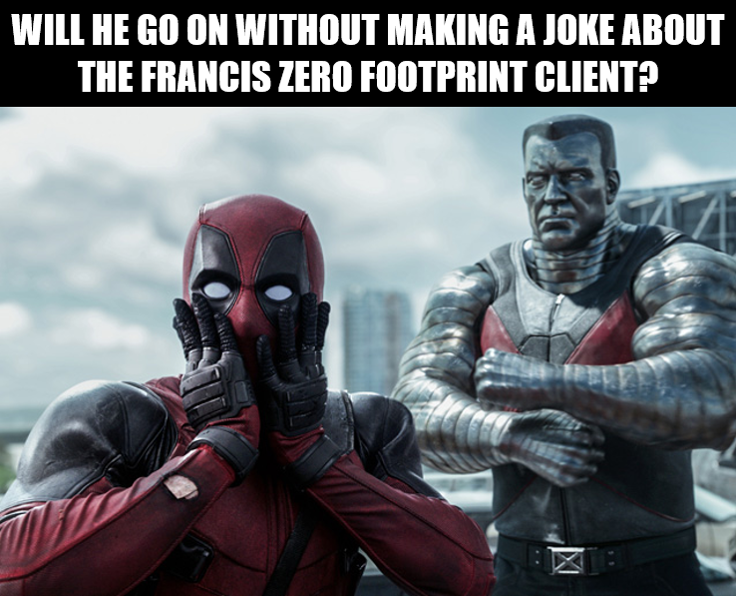 I often use it as an example in my trainings. Yes, you can create a good-looking dashboard using dark interfaces. 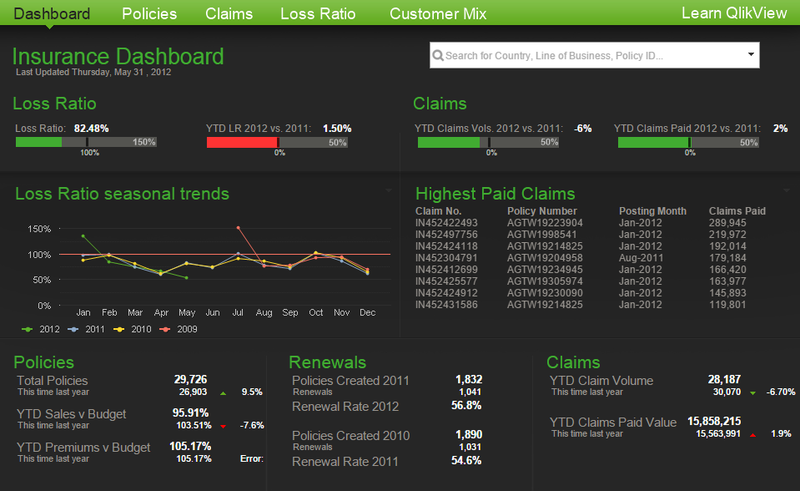 Why do QlikView initiatives under-deliver? Warning: Long and philosophical post ahead. Read at your own risk. Last week I finished a research about QlikView implementations and I’d like to share some of the results with you. The complete document is about 70 pages long (one of the final assignments for my master’s degree), but I’ll try to reduce the theoretical jibber-jabber and only highlight the interesting stuff. The study was based around a simple question: Why do QlikView initiatives under-deliver? 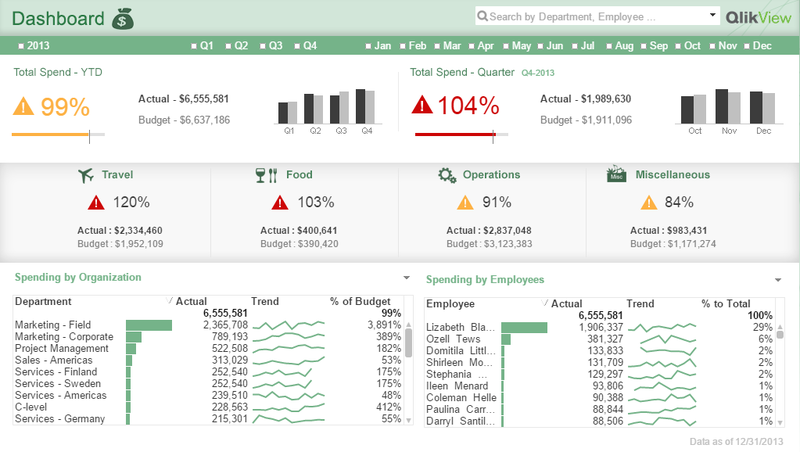 The idea was to widen the scope of the analysis, not only reviewing projects individually, but evaluating the QlikView environment as a whole, because –let’s face it– you may deliver QlikView applications on time and within the budget, but that doesn’t necessarily translate to real and tangible business value. Consultants: QlikView experts that stay with other companies for a couple of weeks in order to configure the platform and create applications. I had the chance to interview colleagues from different companies including Master Resellers, Solution Providers and Qlik itself. Implementation team: People that were directly involved during the process. This includes developers, designers, DBAs, project managers, power users and functional personnel who helped with the definition of business rules and data validation. Other stakeholders: These guys are not directly related to the implementation, but certainly have an interest in QlikView. This group is mainly composed of business users, C-level representatives (CEO, CIO, CFO, etc.) and procurement departments. ‘Just Qlik it’ is a new section of our blog that focuses on sharing useful components… that kind of objects that are not incredibly complex, but are easy on the eye and convenient to have around. On our first delivery, I’d like to share a double gauge that gets along pretty well with comparisons between ratios (for example, net and gross margins). You can easily copy, paste and configure this component by modifying the colors and formulas in the Presentation tab. Just remember that there are two independent gauges and that you should include your formula in the Lower Bound of the second segment. You might also want to change the Min and Max values allowed. If your numbers are usually between 0% and 30% there’s no need for a gauge that goes all the way to 100%. There is no perfect relationship. Your girlfriend is a little bit possessive, your roommate could use a shower once in a while and your boss always freaks out when you’re late. Come on, even QlikView has some flaws that you’d be happy to change. If you’re developing small applications in your PC this will hardly be an issue. However, if your computer lacks capacity, you work with multiple QVWs at the same time or have an important presentation with key customers, it tends to… linger a little more than usual.